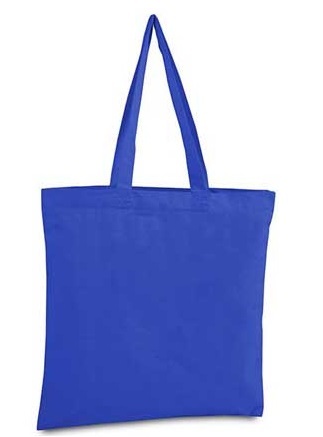 - 6 ounce cotton canvas. 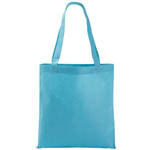 - Flat tote with self fabric handles. 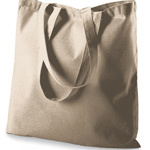 Liberty Bags 6 Ounce Branson Bargain Canvas Tote. 6 ounce cotton canvas. 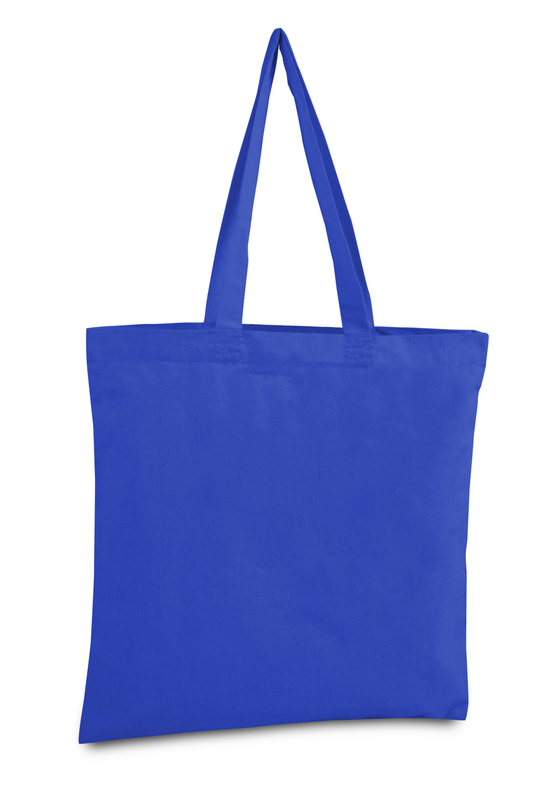 Flat tote with self fabric handles. Non-branded label/tag. One Size: 14.5" x 15.5". 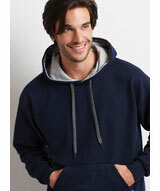 Colors: Black, Natural, Navy, Red, Royal.